The function of a certain space or building has an important bearing on its architectural conception. This function, seen in a practical or monumental context, is embedded in the structure of its presence and forms an intrinsic part of it. A building is never ‘neutral’. Any function means that the ‘innocence’ of a building is lost. It can be compared with the question of employment in a human communication. The answer to the question ‘What is your job?’ is, in many ways, an indication of a person’s presence in life. Human activity often calls for functional building. The most basic example is the make-shift shelter in the field, with the roof as an all-important feature to outdo the forces of nature. These archetypal elements of providing shelter and protection can be transposed to modern architecture in many ways. However, functionality also reaches into more specific requirements of a space or building in terms of particular human activities. The city square and the marketplace are urban ‘necessities’, just like airfields, sport facilities and factories, etc. They have their own reason of being and appearance. The slogan ‘form follows function’ was introduced by the American architect Louis Henry Sullivan in his article ‘The Tall Office Building Artistically Considered’ (1896). Sullivan (1856 – 1924) quotation did not indicate the actual use of the building as offices, but he pointed to the function of the skyscraper as a sign of the (American) culture of economic progress (MORAVÁNSZKY, 2003). Sullivan’s intentions were accepted by his pupil Le Corbusier and others of the Modernist movement, like Walter Gropius, Alvar Aalto, Mies van der Rohe and Gerrit Rietveld. Decorative elements and styles from the past, in which ‘form followed precedent’, were pushed to the background. The Austrian architect Adolf Loos (1870 – 1933) even called these elements in a number of polemic articles ‘criminal’ and argued that the ornament could no longer be an important manifestation of culture. 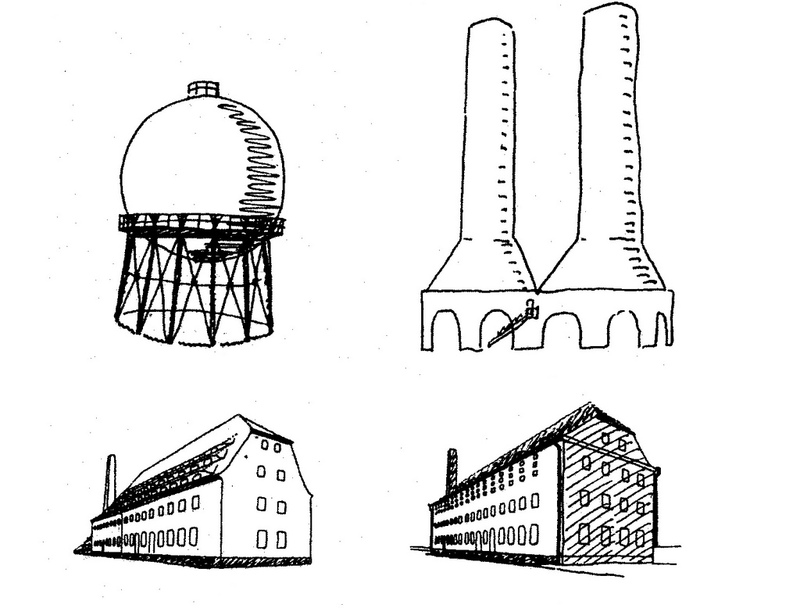 Industrial constructions, like steel water towers, were regarded as examples of simple effective design (fig. 701). Fig. 701 – The enthusiasm for industrial (functional) buildings became a source of inspiration for the architects in the 1920’s in Europe. This drawing from Werner Lindner and Georg Steinmetz’s book ‘Die Ingenieurbauten in ihrer guten Gestaltung’ (1923) give elementary forms, aiming to blend in a natural landscape. Traditional aesthetic concepts were, at least in theory, replaced by functional requirements. The interest of the designers turned towards the function only. However, the reality was different, as could be seen in the distinct ornamental elements of Art Nouveau, which were used to embellish the straight lines of functionality. The notion of form and function as separate entities was difficult to uphold as the Modernists found out. Fig. 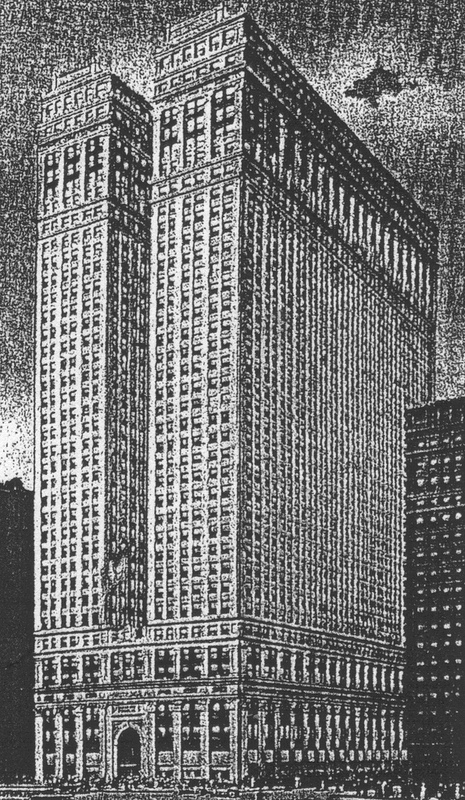 702 – The Equitable Building in New York started as a commercial enterprise in 1915. Carol WILLIS (1995) observation that ‘form follows finance’ seems to be nearer to the mark. She pointed to the speculative projects in the early days of skyscrapers. The Equitable Building in New York (fig. 702), for instance, was not a corporate headquarters, but an investors project, calculated to return some five percent profit. The building was the largest office building when it was completed in 1915 and the fifth tallest building in New York. This example was followed by similar projects in all major cities of America and elsewhere. Project developers are still competing today with exceptional buildings and constructions. Their aim is to impress future buyers and users. The element of (economic) power comes here into the equation. Extravagant architecture is not only an expression of artistic possibilities, but also a sign of wealth. The entities of ‘form’ and ‘function’ can be best placed in a quadralectic setting to be properly understood. Form is in an analytical context seen as an expression of certain types of visibilities. Form is affiliated with a division choice on the outset of a communication. Four types of form were distinguished (form as presence, idea, shape and organization), depending on their position in the various quadrants. The notion of ‘function’ is related to the movement in a communication, but will also be determined by a position in a certain quadrant. ‘Function’ goes beyond the description of Vitruvius as ‘utilitas’. The situation with four types of ‘form’ and four types of ‘function’ makes it hard to make a statement like ‘form follows function’. There is no opposition between the two entities. However, it is true that an artificial opposition (of these entities) can be created in a Third Quadrant setting – and one is free to be limited to this particular psychological vision.